This is a great recipe to make to keep for when you have guests and just for a yummy sweet snack. Make some cookies too. My daughter loves these and loves my gluten free pesto. 1. Cook 1 c sugar, ½ c corn syrup, and ½ c water in a pan over medium heat. Stir until it boils, then wait until it hits 290 degrees. 2. Stir in 1 tbsp butter, 1 tsp baking soda, ½ tsp salt, and 2 tsp vanilla extract (and chopped nuts, if you prefer), then pour onto a Silpat or greased baking sheet. 3. Cool, then break into pieces. WOW. You read my mind,I swear! I was just telling my husband how much I wanted to make GF PB brittle! Hi, Tina! 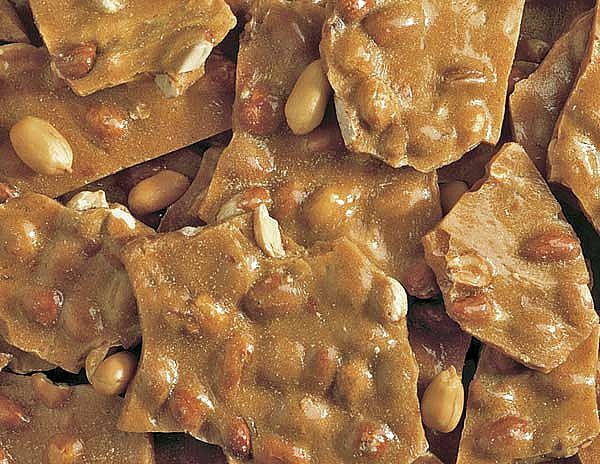 I am so excited to try this brittle recipe. It looks delicious! This sounds really simple–surprisingly simple for something so good!